The U of S International Centre for Northern Governance & Development and the Canadian Society for Horticultural Science are offering a mini greenhouse symposium for those interested in learning about sustainable energy and food production in the greenhouse environment from 3:30 to 5 pm on July 18. RSVP in advance (susan.prpich@usask.ca or 966-1238). Pack a lunch and rubber boots, and join Saskatoon Nature Society members in observing shore birds at Lucky Lake. Call 374-8571 for additional information. The Committee for Future Generations is hosting a Survival Celebration Camp for Sustainable Earth at Lac Ile à la Crosse Recreation Site from August 3 to 6. There will be workshops on sustainable energy sources, daily talking circles, speakers, and campfire music jams. For further information, contact Candyce Paul (306- 288-2079 or 288-3157, committeeforfuturegenerations@gmail.com). 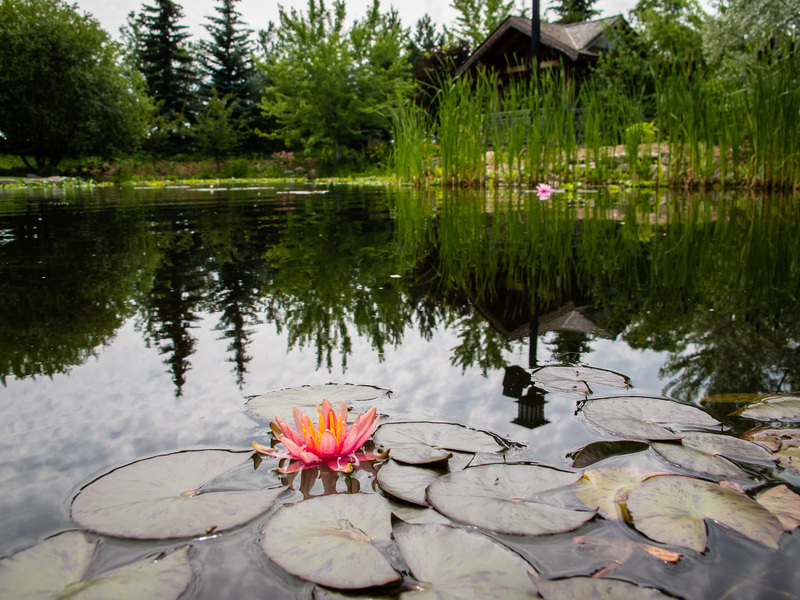 The staff at Innovation Place has been busy re-establishing a healthy ecosystem in the pond. 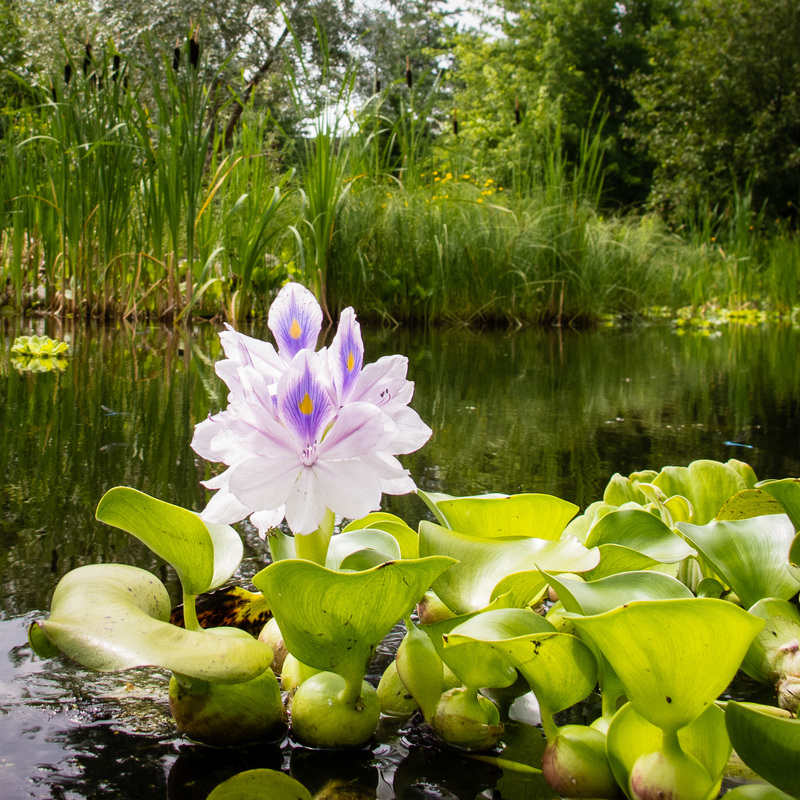 Microbes, insects, frogs and fish all have a role to play in creating a healthy water environment that is home to various transient wildlife. The Canadian Parks and Wilderness Society (CPAWS) has just released its annual report on the State of Canada’s Parks. The report points to four key concerns: the impact of federal budget cuts, inappropriate tourism and recreational developments, growing industrial development pressures, and new park boundaries that maximize neighbouring industrial development opportunities rather than protecting ecosystems. Carbon Tax is Working: The Sustainable Prosperity research network believes that BC’s carbon tax has “had a positive environmental impact without harming the (BC) economy” in its first 4 years. There has been a drop in fuel consumption, and greenhouse gas emissions are declining. At the same time, economic growth has been unaffected, and the tax has been revenue neutral, with tax cuts exceeding carbon tax revenue. Sewage as Energy: Vancouver and Whistler became the first cities in North America to use sewer systems to provide energy and hot water when they decided to create neighbourhood energy-generating plants for their Olympic Villages. The carbon signature for this method of energy creation is low because most of BC’s power comes from hydroelectric generation. “'In Alberta, [where power would be generated from coal] the carbon signature with that heat pump can be worse than burning natural gas,’ said Mr. Homenuke” [engineer with Kerr Wood Leidal that designed the Whistler system]. In Recrafting the Green Message, Tyler Caine comments on a lecture by Francis Moore Lappé in which she says that we should stop focusing on society’s environmental shortfalls and start advocating the benefits of sustainability. “So here’s the irony: Much of what gets labeled self-seeking consumerism may actually reflect our deep need for connection with others. The seemingly endless purchasing by some modern humans might not be about “things” at all or the comfort or convenience they bring us. Might the urge – be it for a McMansion or cool new sneakers – really be about relationships, our yearning to enhance our status with others?